The Matica Srpska Publishing Centre issues the Edition First book (launched in 1957, first editor Miroslav Antic), the Anthology edition Ten centuries of Serbian literature (the first series in 2010, the first editor Miro Vuksanović) and the Edition Matica (launched in 2007,the first series edited by Miro Vuksanovic, creator of the Matica Srpska Publishing Centre’s basic concept, Slavko Gordic and Milivoj Nenin). Invited contemporary Serbian writers publish their books in the Edition Matica. The Anthology edition Ten centuries of Serbian literature is published according to Conceptual and editorial principles. Both editions are issued in annual series. The contest for the Edition First book is constantly open. 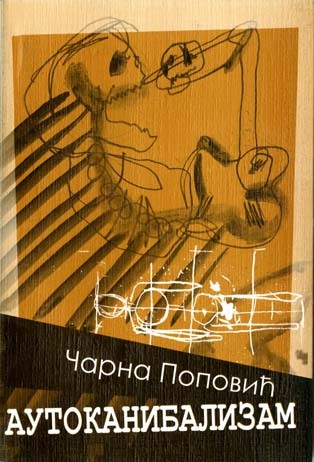 The Publishing Centre published the capital work The history of Serbian literary criticism by Predrag Palavestra in two volumes. The History completes the series Serbian literary criticism, published from 1975 to 1995 in 25 volumes. (Biblioteka Prva knjiga ; Vol. 242) - 62 pp. ; 17 cm. (Biblioteka Prva knjiga ; Vol. 243) - 101 pp. ; 17 cm. (Biblioteka Prva knjiga ; Vol. 244) - 176 pp. ; 17 cm. (Biblioteka Prva knjiga ; Vol. 245) - 78 pp. ; 17 cm. (Biblioteka Prva knjiga ; Vol. 246) - 95 pp. ; 17 cm. (Biblioteka Prva knjiga ; Vol. 247) - 46 pp. ; 17 cm. (Biblioteka Prva knjiga ; Vol. 248) - 99 pp. ; 17 cm. (Biblioteka Prva knjiga ; Vol. 249) - 190 pp. ; 17 cm. (Biblioteka Prva knjiga ; Vol. 250) - 78 pp. ; 17 cm. (Biblioteka Prva kinjiga ; Vol. 251) - 62 pp. ; 17 cm. (Biblioteka Prva knjiga ; knj. 252) - 222 str. ; 17 cm. (Biblioteka Prva knjiga ; knj. 253) - 77 str. ; 17 cm. (Biblioteka Prva knjiga ; knj. 254) - 104 str. ; 17 cm. (Biblioteka Prva knjiga ; knj. 255) - 43 str. ; 17 cm. Price for the books in Edition First book is 300 RSD (VAT included).